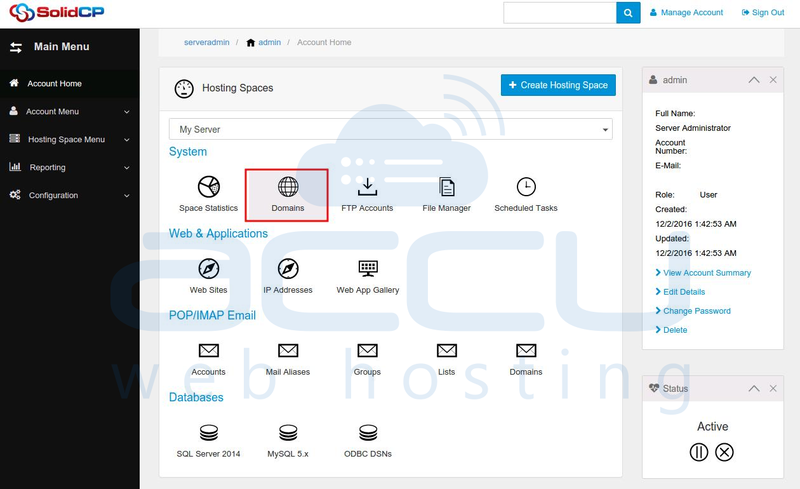 This tutorial will assist you to add a sub-domain/website from SolidCP. In the next screen, you will see the list of all created users. If you have not created any user yet, you'll see the default admin user there. Click the username link under whom you want to add a subdomain. In the next screen, you will see icons for all the services you can manage from the SolidCP. 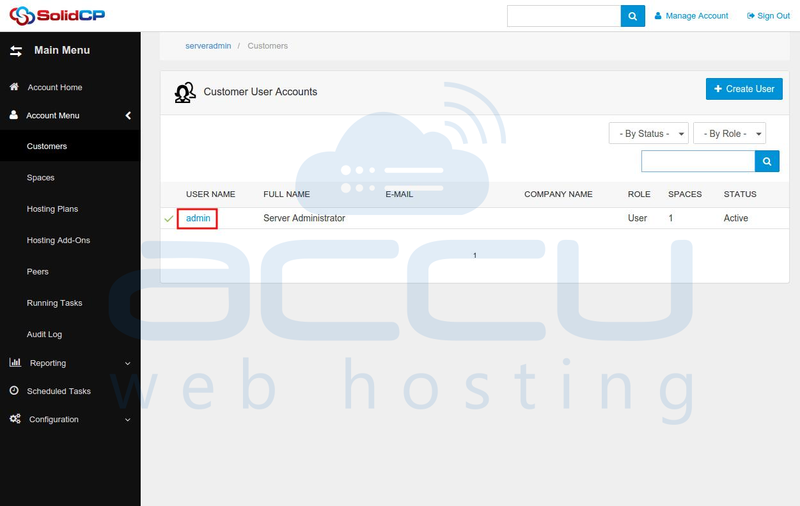 To add a new subdomain, under System section click Domains icon. In the next screen, you will see the list of previously created domains. 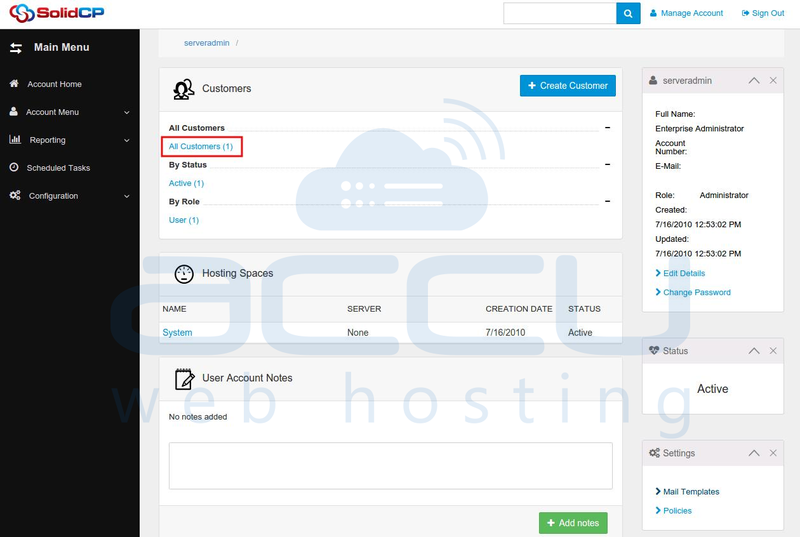 To add a new subdomain, click on Add Domain button. Click on Sub-domain link to add a subdomain. In the next screen, type the subdomain prefix in text box and select domain name from the drop-down menu. Now, if you want to create a website in IIS for this subdomain, keep the Create Web Site checkbox checked, and click on Add Domain button. We do not recommend to select "Enable DNS" for sub-domains, as wildcard * record is automatically added on main domain while you add it. Once new subdomain is added, you could see it in the list of all domains.